Engineers side overflow and suction pipes going back on. Engineers side branch pipe, jacketing was completed since this photo. 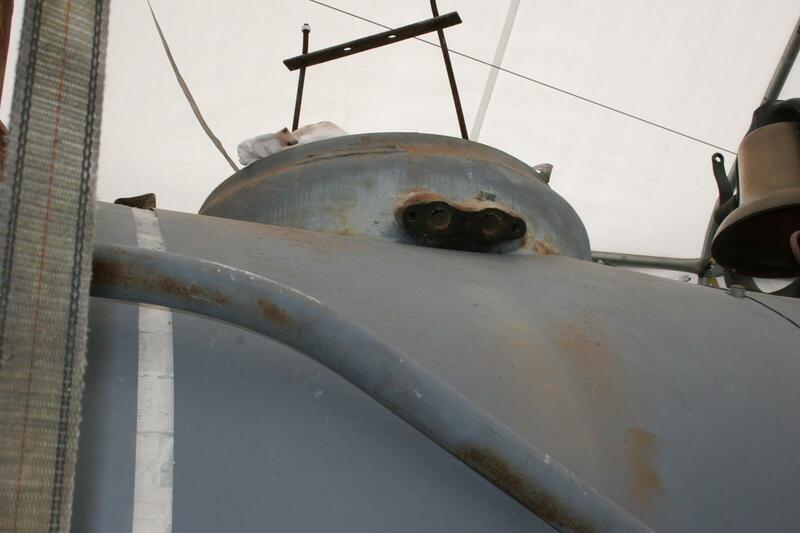 Sand dome valve location, with valves removed. 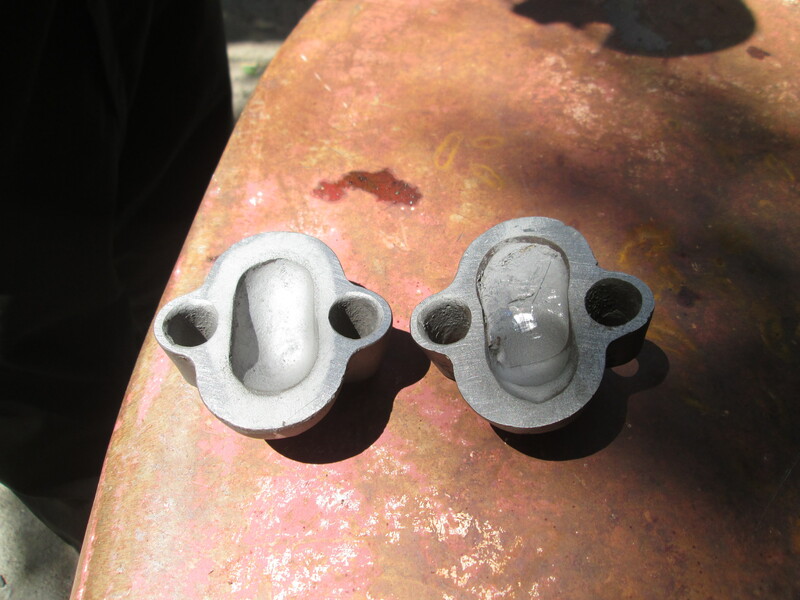 Sand dome valve covers, note repair on right cover. The last weekend in May saw the finishing up some ongoing projects. 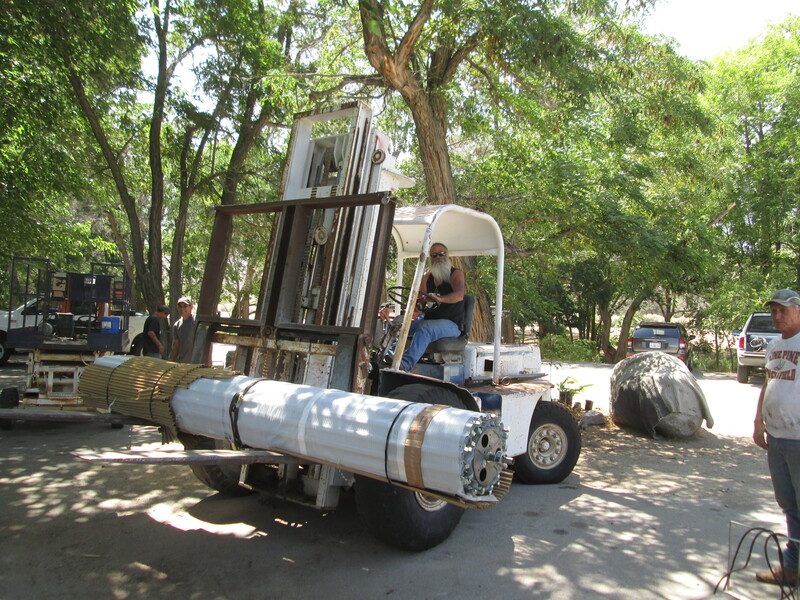 First was the installation of the injector branch, suction and overflow pipes. 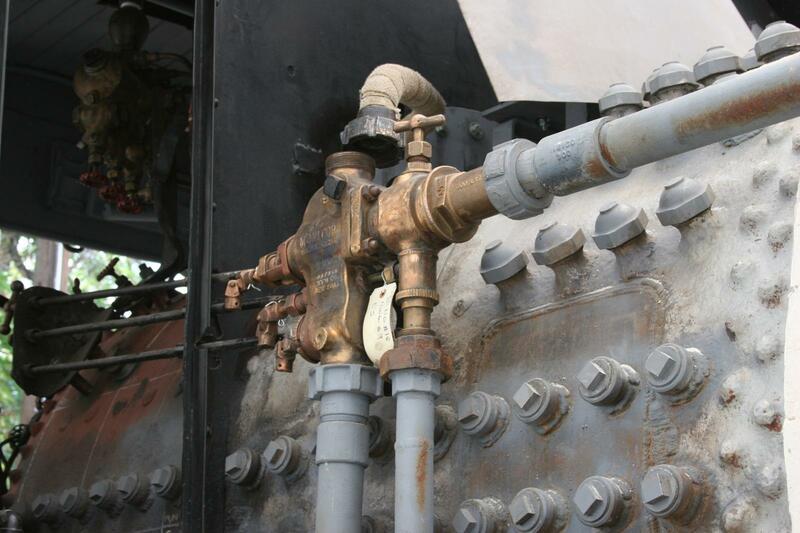 These 2″ diameter pipes all are integral to the function of the locomotive and bring water to the injectors from the tender and ultimately from the injector to the boiler. 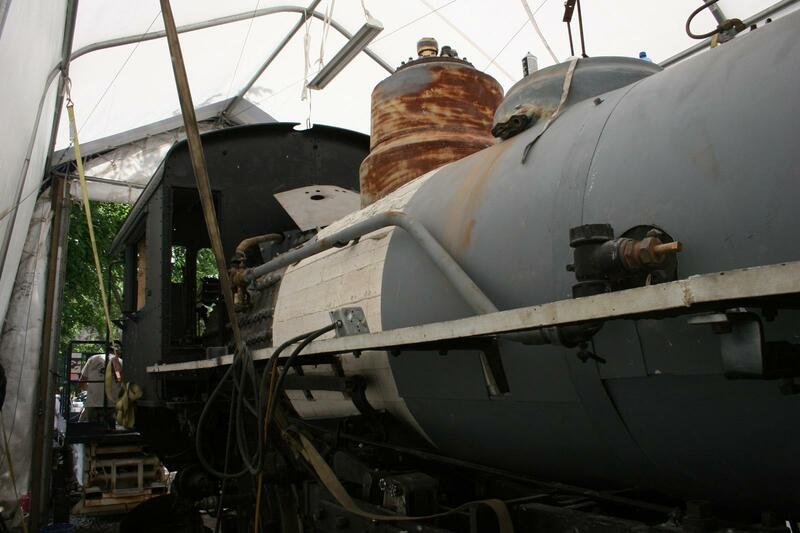 These pipes will likely need to be removed once more to facilitate the installation of the remaining jacketing, but by installing them now we can not only steam test the locomotive but also will have them fitted and ready to quickly remove and re-install. Another accomplishment over the weekend was the completion of the jacketing all the way back to the wrapper sheet with the exception of one boiler band. Forrest and everyone that worked on this project over the past weeks did a great job, but no one took pictures of the completed jacket! 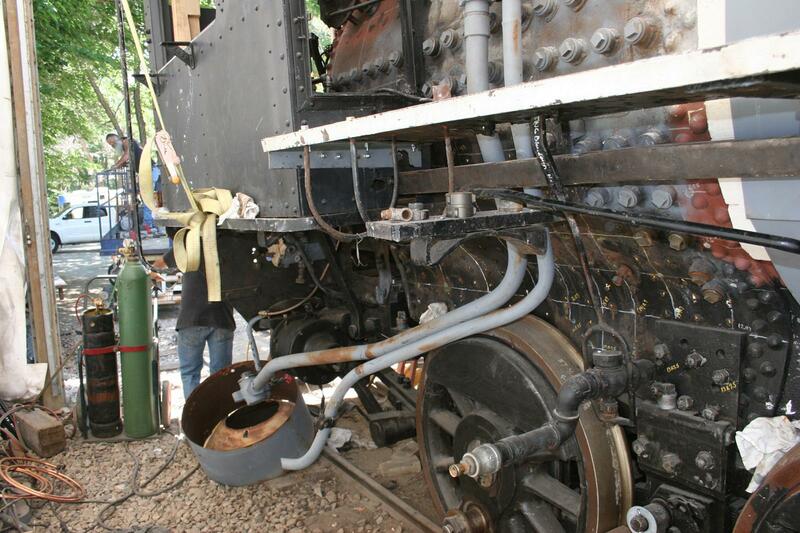 The last locomotive work of the weekend was the disassembly and cleaning of the sander valves. There was plenty of evidence of past repairs. 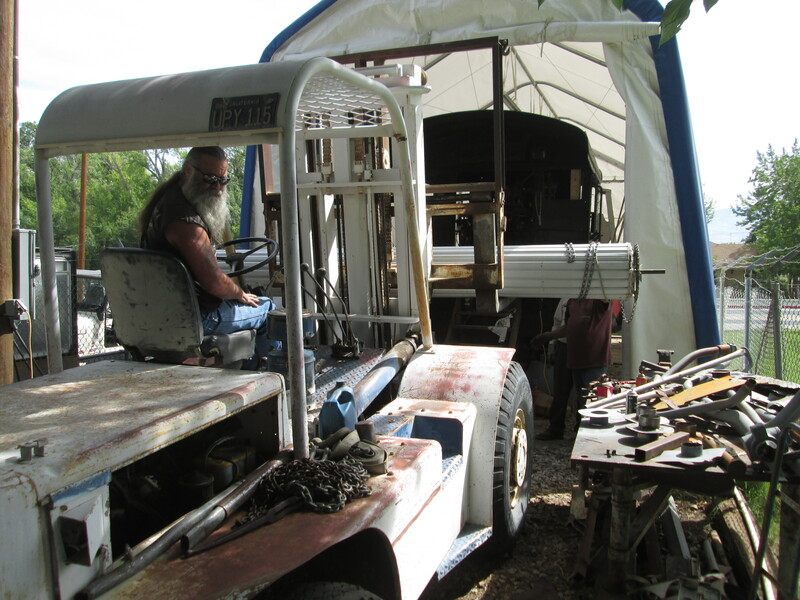 We should be able to finish up on the sander repairs the next go around and have the sand dome back together. Outside the locomotive on the tent was the big door project. For those that don’t know, the roll up door that we installed three years ago on the tent has been the bane of our existence and has regularly taken a pry bar and 3 people to open. All of us have looked forward to the day we could get rid of it. That day finally arrived. 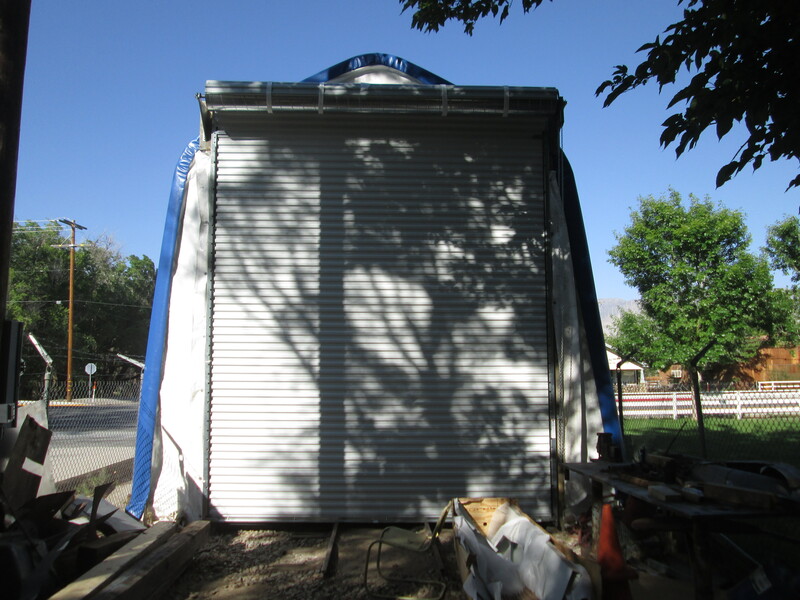 The new door is 14 feet tall and will allow the locomotive to fully roll out of the tent and was ordered specifically with the intention to use it with our new building once constructed. It works great on the tent and we are all excited to have it. With our previously built panel track and the new door, the #18 will be able to come completely out of the tent for the first time! As for work outside the park; we have started on the rod brasses, once complete the rods will be ready to install! 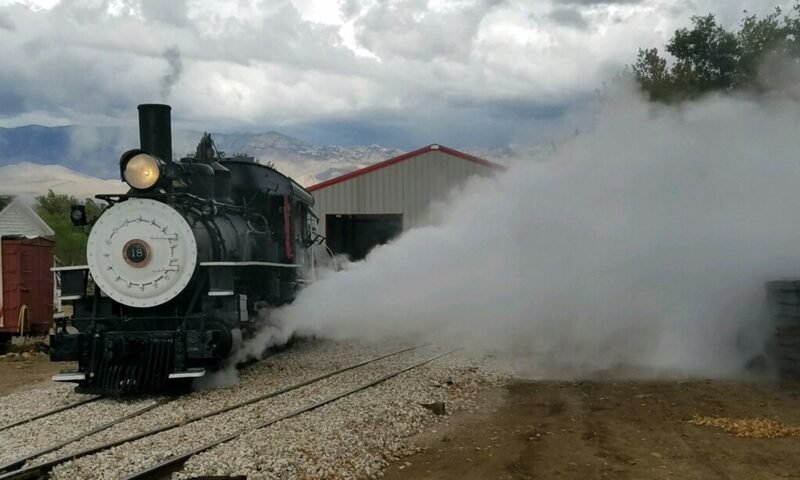 We have also finally acquired replacements for our un-repairable air gauge and air brake feed valve, thank you to the Colorado RR Museum for helping us with those acquisitions. Finally, over at the museum grounds we will be having a geotechnical survey conducted very soon, which along with our site plans will allow the county to issue our dirt work permits and let us have the building pad constructed. We are all very excited to finally see some dirt turned on the #18’s new home and hope it will begin to happen in July.